Based on a survey conducted by Cint asking Singaporeans the types of beverages consumed daily, 62.22% of the respondents stated they drink coffee regularly and 57.56% responding that they drink tea regularly. With so much to do every day, we really depend on a good beverage fix to accompany us through the day. When it comes to choices and types of beverages, one brand has consistently managed to keep its quality of beverages and food high in all of their stores worldwide. If you are recalling the iconic green and a twin-tailed siren of Starbucks, you guessed right. Starbucks originated from Seattle in 1971 and currently has over 1,651 stores worldwide! They have their own sustainable source of coffee beans and highly regarded as an ethical and innovative company. Starbucks provides a cosy environment where we can get our coffee and a quick snack, clear a portion of our heavy workload or simply just to catch up with friends with quality conversations. However, did you know Starbucks is available on GrabFood food delivery app? Now, you can enjoy their quality coffee and food in the comforts of your home. Just sit back, relax and find out what you can order on the GrabFood platform today! 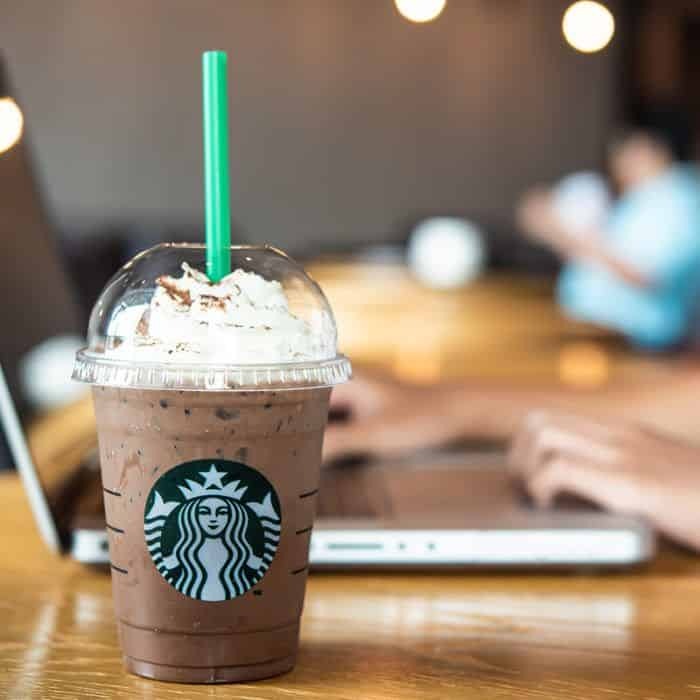 Other than their exciting seasonal favourites, the classic on their menu can generally be found in 4 different categories: Frappuccino Blended Beverages, Espresso Beverages and Freshly Brewed Coffees, Teas and Other Beverages. Frappuccino is genuinely one of the timeless creations because who does not like ice blended drinks in the hot tropical climate like Singapore? They offer flavours like Mocha, Caramel, Java Chip, Green Tea Cream, Chocolate Chip Cream and lastly, the Sakura Rose Mocha. To offer you high-quality Frappuccinos, whipped cream on drinks are unfortunately not available for delivery. For their Espresso Beverages, the Classic Caffe Latte, Caffe Mocha and Caffe Americano. However, the selections do not end there with crowd favourites like the White Chocolate Mocha, Vanilla Latte, Caramel Macchiato and the latest Cascara Macchiato. These selections are available both hot and iced to best suit your preference. The tea selection available is aplenty! From Vanilla Black Tea Latte to the iced Shaken Hibiscus Tea with Pearls, the Starbucks tea selection aims to refresh and rejuvenate you with the freshness of the tea-leaves. Some classic flavours available are the English Breakfast Tea Latte and Earl Grey Tea Latte. Some modern favourites like the Green Tea Latte, Chai Tea Latte and Vanilla Black Tea Latte. That’s not all! There are recent combinations like Vanilla Black Tea and Espresso Fusion, Matcha and Espresso Fusion, Black Tea with Ruby Grapefruit and Honey and Iced Shaken Black Tea Lemonade have names that sound as good as it tastes. The tea selection is available hot and iced. In their selection of other beverages, they serve Bottled Tazo (flavoured juice concentrate), sparkling water and Evian. They also serve their Signature Hot Chocolate, a European-style hot chocolate topped with a dusting of cocoa powder that is available both in hot and iced. Cafe food has always been a symbol of delightful treats that pair perfectly with your favourite beverage. 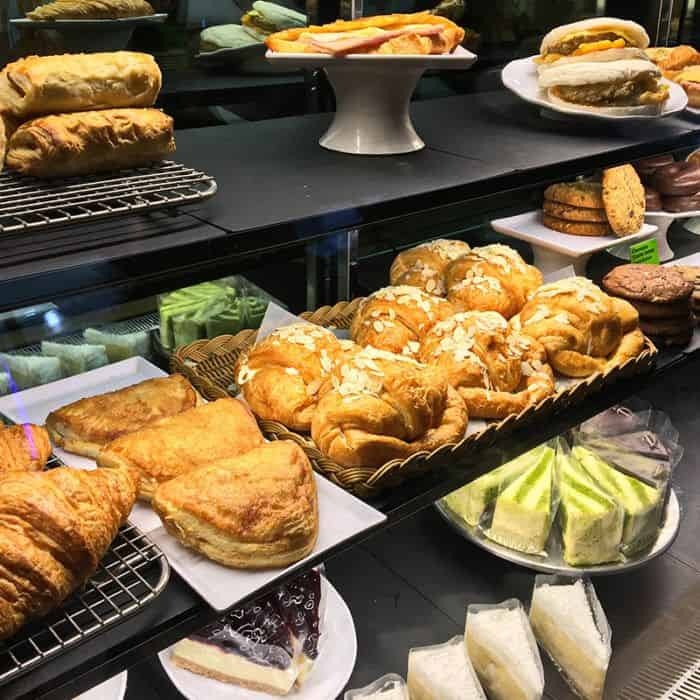 For breakfast treats, fancy some croissant or sandwiches to fuel your day ahead. Be sure to check out the Oriental Smoked Duck Sandwich, which includes black pepper smoked duck, apricot chutney, carrots and coral lettuce between flavourful black sandwich bread. Bite into the soft and flaky Egg Mayo Multigrain Croissant where it is overflowing with flavourful egg mayo and cheese to start the day right. For lunch, pair along your beverage with the Starbucks Roast Chicken and Quinoa Bowl, with hearty quinoa, roast chicken, carrot, zucchini, raisin, corn and sundried tomato with zesty lemon dressing. 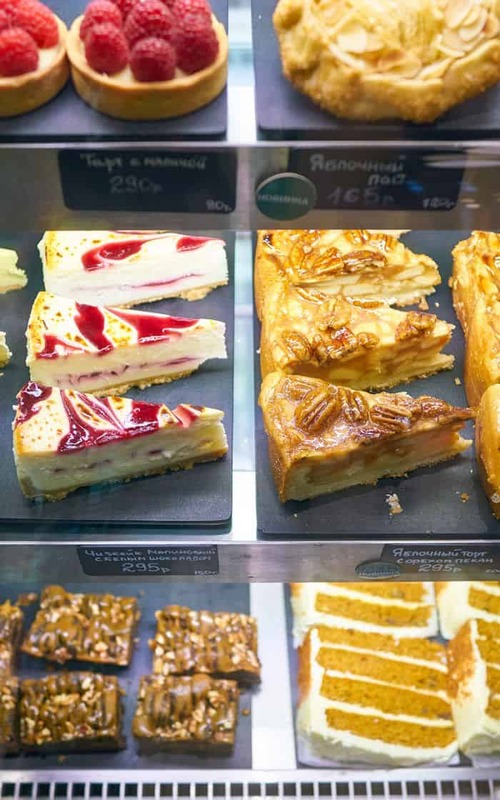 Lastly, if you are looking for a sweet treat, the selection of cakes at Starbucks are diverse and delicious. Some of the flavours are the Good Ol’NY Cheesecake (cheesecake set on crumbly graham crust), Cookie Crumble Cheesecake (Cheesecake filled with crumbly cookie chunks), White Chocolate Green Tea Cake (Aromatic green tea sponge cake between layers of white chocolate, dusted with green tea powder), Strawberry Red Velvet Cake (Layers of light sponge cake between strawberry flavoured cream, topped with chocolate flowers and dried rose petals) and Coffee Chocolate Cake (Chocolate Coffee cake with caramel-infused cream in the centre). 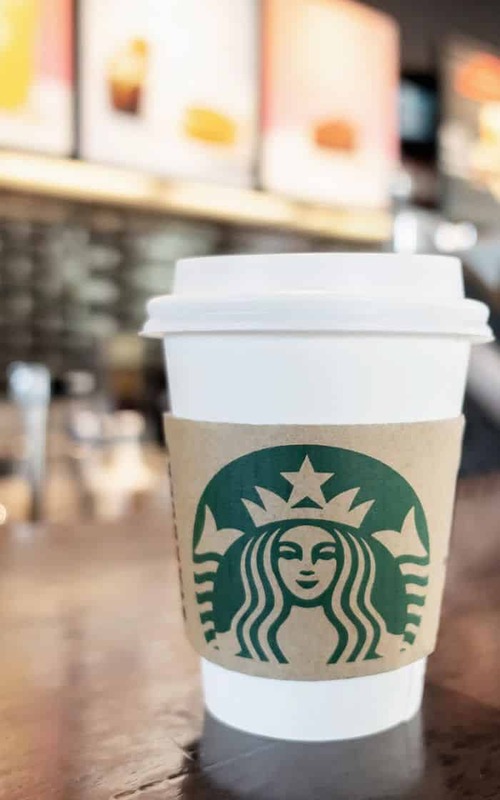 Order Starbucks on GrabFood today! Now, with GrabFood’s Starbucks delivery service, ordering your favourite brew and cafe food has never been easier! In fact, all of the items from the menu mentioned above are available on the GrabFood app. Head over to the GrabFood app and start ordering from the nearest Starbucks near you now! With a few tweaks, you can still enjoy the goodness from Mcdonald’s and be happy that you are eating healthily! Ordering a meal below 500 calories has never been easier with GrabFood McDonald’s delivery service. Try it today! Getting an individual slice of pizza or choosing a pizza flavour with your friends is no longer a hassle when you make an order at Domino’s Pizza. Enjoy Starbucks quality coffee and food in the comforts of your home. Just sit back, relax and find out what you can order on the GrabFood platform today!